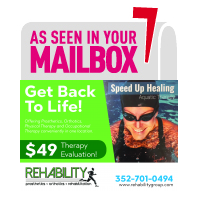 You are here: Home / Physical Therapy / Your Therapy, Your Choice! We face choices daily. When you purchase a vehicle, you have a choice of dealerships. Just as you have a choice in which dentist to use or where you will get your hair styled. Did you know you also have a choice in who will provide your physical or occupational therapy services, orthotics or prosthetics? Upon receiving a referral from your doctor, many individuals are not aware the decision is yours where to receive the service which is recommended. Oftentimes, the first time an individual becomes familiar with Physical Therapy (PT), Occupational Therapy (OT), Orthotics or Prosthetics is after they receive a referral from their doctor. Per your health insurance contract, you have the right to receive health care related services where you want. If you seek care from a provider that participates with your insurance, your costs will be lowered. It should be noted that your insurance carrier has no obligations to a single medical office; their obligation is to you, so you can get the very best in healthcare. Just as you choose your physician, you can also choose your Physical or Occupational Therapist, Prosthetist or Orthotist. It’s important to recognize that just because your doctor may prescribe these services at the clinic or facility where they practice, does not mean you must go there. If there is a provider listed on the top of the prescription your doctor gives to you, this is merely a recommendation. The choice is ultimately yours. In addition, if you already know where you want to go, you may ask your doctor for a referral to a clinic of your choice. Location: Some patients require therapy three times a week. The time it takes to reach your therapist should be considered. For prosthetic patients, the relationship you build with your prosthetist is usually long-term. Not having to travel a far distance is certainly a plus. Clinical Expertise: It’s important to know therapists’ areas of expertise. If you have suffered a stroke, finding a therapist with a strong clinical background in stroke rehab is important. It’s also worthy to note if you will have the same therapist for your treatments and how many patients are seen at once. Call different clinics to find out how they can help you and ask these questions before deciding. Scheduling: Is the clinic able to accommodate your schedule? Do you have to wait 2 weeks before you can be seen? Clinic Reputation: Referrals from friends and/or family and online referrals are a great way to help you decide which clinic can meet your needs. First Impressions: How did you feel when you first called the clinic? Evaluate the quality of the phone conversation you have with the clinic and the friendliness of the staff to accommodate your needs. If you know you will need therapy following an operation or you are looking to form a relationship with a prosthetist or orthotist, make an appointment to meet the staff and tour the clinic. Go with the company that answers your questions and seems truly interested in assisting you back to health. At REHABILITY, we work together as a team with our patients to reach their goals. We listen and find solutions to get you back to life! Please feel free to contact us at 352-701-0494 if we could be of further assistance to meet your needs. Because the referral process may not be presented as clearly, it’s important to know you have a say in your healthcare. Take time to inform yourself. Research your options and make the best decision for your health and wellness goals. After all, it is your body, your money, and your insurance contract. Share this information with your circle of friends and family. Exercise your right to choose!